TANGIERS Petroleum Limited (ASX:TPT, AIM:TPET) has spudded its TAO-1 exploration oil well off the shores of Morocco. TANGIERS are just days away from reaching their first target and getting a first indication of how much oil is lurking below. TANGIERS have a 25% share of the Tarfaya Block offshore Morocco, which has the potential to hold 867 million barrels of oil – if you use a P 50 , unrisked recoverable, prospective resource calculation. 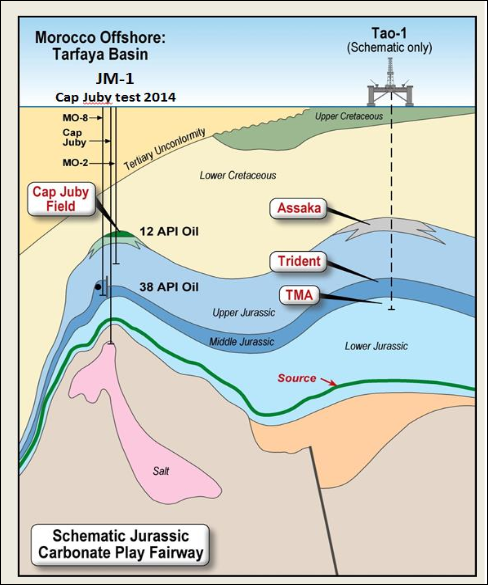 If you use a P mean – a mean (or expected) prospective resource calculation – like most other oil companies, the Tarfaya Block swells to a monstrous 1.6BN barrels of potential. The TAO-1 well in particular is targeting up to 758 million barrels (P 50 ), 25% of which is a working interest to TANGIERS. Success on this first well could lead to a big market re-rating for this Australia-based oil company and a rapid expansion in the company’s offshore operations. In our first article on TANGIERS we explained the 1 in 5 chance of a 100 bagger opportunity we took up. We arrived at this conclusion as the geological chance of success is 20% on the current TAO-1 well, and the fiscal regime in Morocco, the shallow water, the big resource size, and TANGIERS low valuation created 100 bagger uplift potential. Everyone seems to be waiting for the first bit of material news from the drilling, including us. Yet they are still capped at a relatively low $60M AUD (for our UK friends, roughly half this value to arrive at a value in £). Once the first piece of material news comes in, our investment in TANGIERS is sure to move one way or another. This may be a little longer than expected, as the TAO-1 well has been classified as a “tight” well for commercial reasons. TANGIERS just raised a further $4 M AUD from wholesale, institutional and sophisticated investors. The spudding of TAO-1 could not have come at a better time. The $34BN energy behemoth Woodside Petroleum has just entered the exploration game in offshore Morocco. 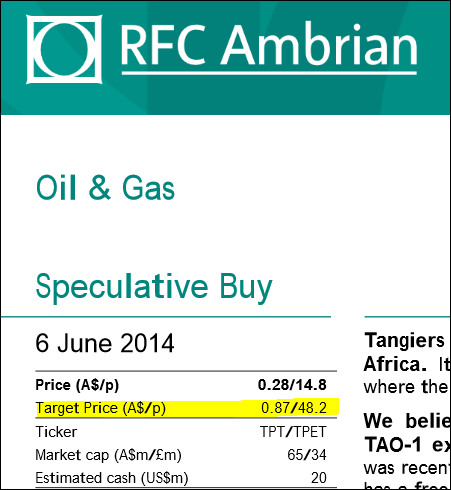 Maybe Woodside read our Next Oil Rush article on TANGIERS? Just last week Woodside Petroleum bought a stake in the Doukkala Basin offshore north western Morocco, not far from where TANGIERS is based. Woodside is tag teaming with UK-listed junior Chariot Oil & Gas hunting big oil targets... It’s a pity they didn’t get the pick of the blocks like TANGIERS did back before the current Moroccan oil rush. Despite being late, it’s no wonder Woodside is getting stuck into Morocco. Both onshore and offshore Morocco is a magnet for oil and gas companies right now. This is why giants like Chevron, Cairn Energy and BP are buzzing around Morocco like bees to honey. The big boys don’t lift a finger if there’s not a chance big profits could be made. There are indications of massive oil and gas resources, all of them untapped, underdeveloped and crying out for exploration investment. Even better, the usual risks of operating in a place like North Africa are a lot smaller because Morocco is a stable country that wants energy investment. This is why at The Next Oil Rush we are investing with TANGIERS for the long-term. With a market cap of just $60M AUD, TANGIERS has a firm grip on a highly prospective oil field in offshore Morocco and it’s surrounded by projects controlled by the big players. All eyes are on TANGIERS now that it’s spudded TAO-1. This is high-risk, high-reward stuff, the sort of thing we at The Next Oil Rush love. In this article we’re going to run you through all of the latest news from TANGIERS and drill down into the details of the TAO-1 well. Since our last article on TANGIERS back in May, a number of analysts have covered the company and are predicting significant gains based on TANGIERS today – read on to find out more. The stakes are high and in a few weeks we’ll know the whole story and find out if our investment in TANGIERS has paid off. The past performance of this product is not and should not be taken as an indication of future performance. Caution should be exercised in assessing past performance. This product, like all other financial products, is subject to market forces and unpredictable events that may adversely affect future performance. Following the spud, the price has since drifted back down as nervous investors await the results... but we are holding onto our investment and seeing out the drilling event. 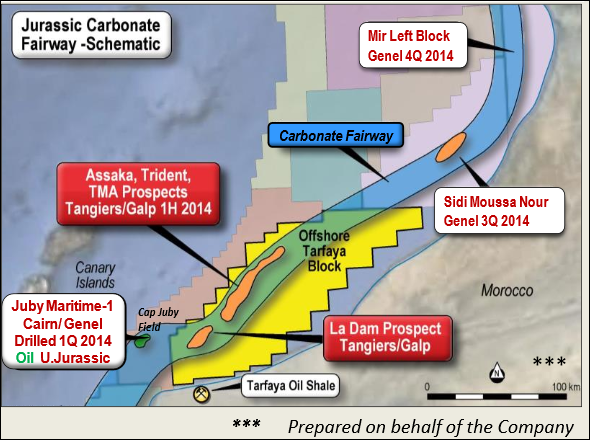 TANGIERS has a 25% working interest in the Tarfaya Block, offshore Morocco. It shares this block with operator Galp Energia , which paid $40.5M in total to farm in to 50%, and ONYHM – Morocco’s National Office of Hydrocarbons and Mines (ONHYM). TAO-1 spudded on the 26 th of June. 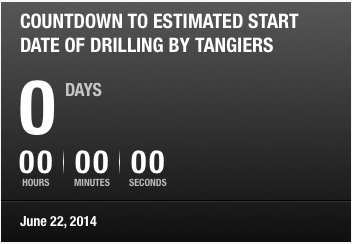 OK, so we were four days out with our countdown clock for TANGIERS’ spud... But in oil exploration, that’s an incredible result – oil companies are notorious for delays! What is certain is that the day TANGIERS investors had been waiting for has arrived. As for the other two wells, FOUM DRAA-1 and FOUM ASSAKA-1, they may as well have been drilled on the moon for all the relevance that they have for TANGIERS’ TAO-1 well. TANGIERS is targeting a different play type, different aged reservoir, different type of reservoir and different source kitchen. The Cap Juby well confirmed the presence of a working hydrocarbon system and the presence of a potentially commercial oil deposit – despite the fact that it was heavy. Heavy oil is just no good for commercial reasons. Light oil was discovered deeper into the well, but not enough to deem the well a smashing success... What they found at Cap Juby was evidence that pesky oil eating bacteria consumed all of the attractive light oil first. But TANGIERS current TAO-1 well is different. Due to a different burial history in the region, that oil eating bacteria is unlikely to have entered the TANGIERS targets. Additionally, the seismic inversion work done indicates good quality reservoir, which can sometimes be an issue for the carbonate rock type being targeted. And to top it off four historic wells on the Tarfaya block had oil shows. As for the other dusters in Morocco, they were targeting Cretaceous sandstone plays – completely different to the Jurassic carbonate that TANGIERS is looking to hit a home run with. Again – no relevance at all to the current TAO-1 drilling. All in all, TAO-1 has a 1 in 5 chance of hitting the money zone – we liked those odds given the potential return on investment. We recently released a Next Mining Boom article on ASX:BUX – ASX Explorer in Pole Position as Electric Cars Spark Graphite Rush , in the space of a few days, BUX’s share price has risen almost 40%. After the Next Oil Rush covered ASX:SWE in the article The last junior oil explorer operating in this exciting region with this same JV partner went up 800% in a matter of months , SWE’s share price has risen as high as 150%. In total, TANGIERS can count on $22M cash in hand right now. Dry hole cost estimates for the current drilling are $73M. Galp will pick up most of this bill as part of the farm in agreement – it is stumping $33M of this, and after that, TANGIERS will need to pick up 33% of the tab for additional costs. 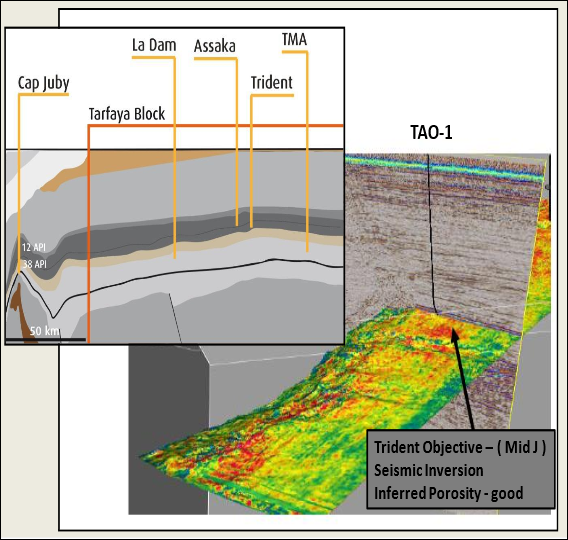 Assuming the well cost does come in at $73M, TANGIERS will need to contribute a further $13M – but with $22M cash on hand, even if the cost of the well is higher, TANGIERS appears to be covered... With favourable weather conditions in the area and a shallow drilling depth, TAO-1 shouldn’t run over schedule. And yet if this was to happen, TANGIERS now has headroom for any cost overruns. Shallow water –TANGIERS is drilling in water of just 200m depth. For the current drilling only a jack up rig is required. If the day comes where the Block moves to production, all the infrastructure costs in getting the oil to market will be significantly less. It’s a large, highly prospective block – remember there could be 1.6 billion barrels down there! Taxes and royalties in Morocco are some of the most attractive in the world for oil companies – Morocco is desperate to get its hands on some big oil resources and it actively encourages exploration and development. This combination of circumstances mean that should TANGEIRS strike oil, valuations on the resource will be much greater than in other parts of the world, who are in deeper water, targeting less barrels and paying more royalties... Lucky we are with TANGIERS. Again, sounds great – but he’s really dreaming – this is a very large target, based on TANGIERS striking a rich oil reservoir that’s easy to extract and commercialise... So that is the blue sky potential in TANGIERS – at the same time we know that analysts don’t always get it right and that unforseen things can occur which dramatically alters their predictions and valuations . A little late, but nevertheless, Woodside have finally seen the potential in offshore Morocco. Perth based Woodside just farmed into UK listed Chariot Oil’s block. The companies plan to drill into the JP-1 structure, a four way dip faulted Jurassic carbonate structure which, according to independent consultants Netherland Sewell, has a gross mean prospective resource potential of 618M barrels of oil. Woodside and Chariot will be chasing six more leads in the Jurassic fairway play – this is the same Jurassic fairway that TANGIERS is drilling into right now... Woodside is a major player in the oil and gas market. 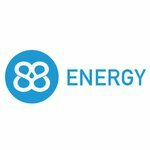 The company has a market cap of more than $34BN! If the Jurassic fairway play is good enough for them, it’s certainly superb for TANGIERS, capped at just $40M. And Morocco seems to be also pretty good for a heck of a lot of other oil and gas companies. At the moment, 40 players are operating offshore in Morocco. About 30 new exploration wells are scheduled to be drilled offshore too. This capital expenditure will amount to more than US$1BN. Offshore Morocco has 11 trillion cubic feet of technically recoverable shale oil and gas resources. A recent Energy Information Administration study says these are mostly within the Tindouf and Tadla basins. Although studies in the area have shown promise, commercial-scale production hasn’t yet begun. But companies are already showing encouraging results. Major oil and gas companies like Repsol SA, Genel Energy, Andarko Petroleum, Cairns Energy and Kosmos Energy have all gone to Morocco in an attempt to replicate the riches found in neighbouring Libya and Algeria. Their exploration is being helped by the Moroccan government, which is welcoming them in with very open arms. Currently Morocco imports around 95% of its energy , not allowing it to have much sway over energy prices. By encouraging foreign investors to get in on its home-grown supplies, Morocco is hoping in the future it can get more economic energy independence. And by allowing companies like TANGIERS to drill in its waters, it’s helping to create this independence. The Moroccan government is also being very generous towards oil and gas companies too. Chevron and BP joined forces with Kosmos and Cairn, with the Moroccan government taking just 25% – the other 75% revenue share goes directly to the companies. The World Bank has also said it wants to get in on the action. It plans to support Morocco with its pursuits in collaborating with Maghreb and EU countries for energy developments. And oil and gas companies are picking Morocco over previously more favourable investments in Libya and Algeria, thanks to Morocco’s relative stability. All these elements are making Morocco look more and more appealing to investors. And all of these positives are giving big ticks next to TANGIERS’ investment. The environment is stable and the government is supportive. All TANGIERS needs now is a successful well, we are hoping TAO-1 can take the company to the next level. Over the next couple of weeks we will find out whether our investment has paid off. A series of three targets will be pierced one after the other, the first target is due to be punctured any day now. About 40 days after that, the drill bit will enter the primary well objective... If things are looking good, the JV will keep going down into a third target. Remember, the Tarfaya Block that TANGIERS is drilling into right now may hold a monstrous 1.6BN barrels . If success comes then this could mean a big market re-rating for the company and a quick expansion of its offshore operations. TANGIERS’ have a 25% working interest in the TAO-1 well it has just spudded and we’re counting down until the results are published. The TAO-1 has the potential to establish TANGIERS as a leading oil company in the Morocco region – or a takeover target for majors... Morocco is popular right now. It’s stable and the government is all for oil companies to come in and take a slice of its riches. 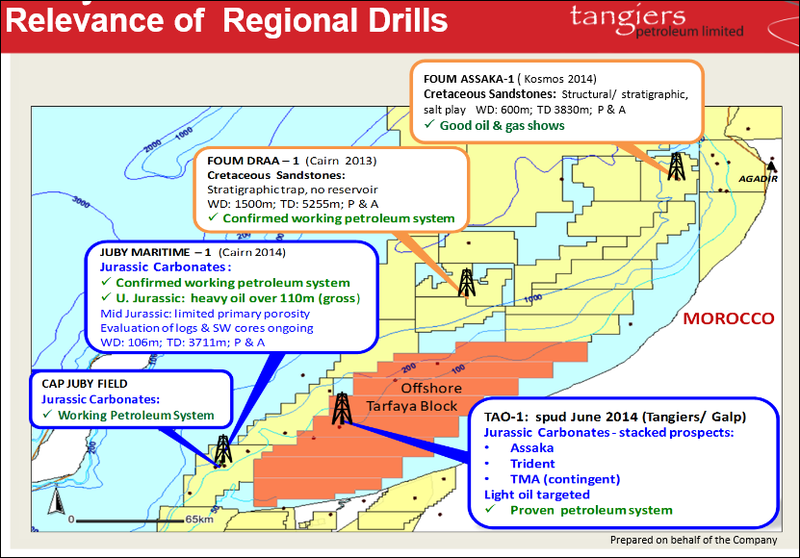 And TANGIERS is in the thick of it, drilling in an area where oil giants like Chevron and Woodside are their neighbours. If the area is good enough for these big boys, it’s certainly good enough for tiny TANGIERS. But now, all we’re concerned with is the drill. And after the drilling... well we will just have to wait and see – the binary result means the company will be transformed one way or another. Watch this space.